「ガンバ」は脚の意味。ぐっと脚を踏ん張っているようなフォルムから名付けました。（村澤一晃） A characteristic of this stool is the frame which form is like flowing from sheet to legs. The sheet a little bit warped makes the comfortableness like a chair. The existence is moderate, but it is active everyday. 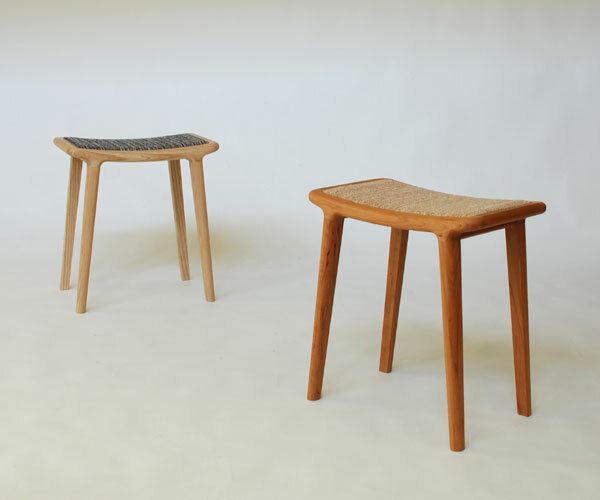 “GAMBA” means “leg” in Italian, because the form of this stool is like standing firm.